You will get your fine-tuned bikes and adjusted according to your preferences and start Kathmandu to Pokhara cycling adventure. By passing through the ancient city of Kirtipur. Try out the famous local dishes of Kirtipur. Then ride to the famous Hindu temple of Dakshinkali. You will get a chance to see the Nepalese customs and religious belief. You will ride the off-road to a manmade lake called Kule-Khani. You will rest and soak all the beautiful scenery. Ride an uphill blacktopped road to daman. You can see an awesome view of Dhaulagiri range to Mount Everest in a clear day. You will get to see different types of rhododendron along the way if you ride there in early spring. You will ride an easy-going downhill road to Hetauda. Ride the plain Terai of Nepal. 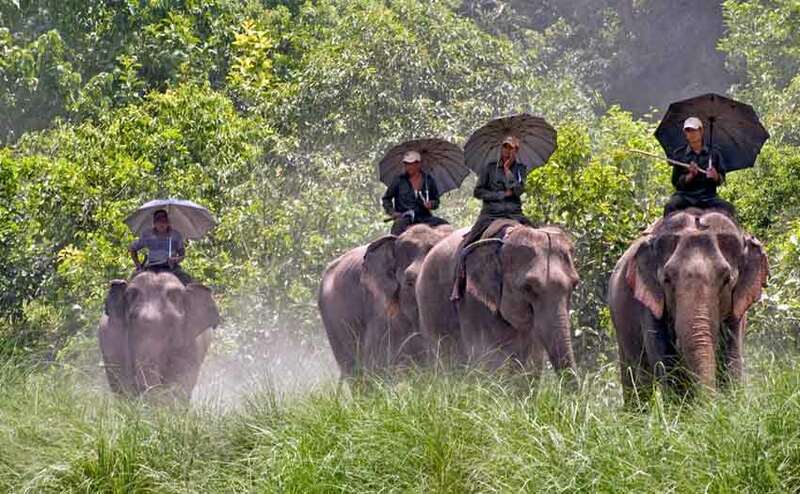 The far-stretching road to Chitwan will take you to the most popular national park of Nepal. You will get involved in a different tourist attraction that Chitwan has to offer. Enjoy elephant safari, bird watching, village tour, and canoeing and give your leg some rest. In the evening enjoy the Tharu dance of indigenous community of Chitwan. Ride uphill to the beautiful hilltop settlement of Bandipur. You will get to see preserved ancient Newari culture. There is some establishment that has to use the traditional structure to provide modern services and facilities. Ride down to the city of lakes. Pokhara is the most popular tourist destination of Nepal. Pokhara is full of natural as well as a cultural attraction for a boat ride in Phewa lake. You can go to visit Taal Barahi, Bindabasini, and Davis fall. If you are in a mood for some sweating and good view, a short hike to the world peace pagoda is a good choice. In clear days you will get to see fishtail, Annapurna range and Dhaulagiri range from anywhere in Pokhara. Spend the night in the lakeside Pokhara. Try out local as well as international cuisine in one of the restaurants or go for a drink along the banks of Phewa lake.return to Kathmandu and visit some of the UNESCO world heritage sites. 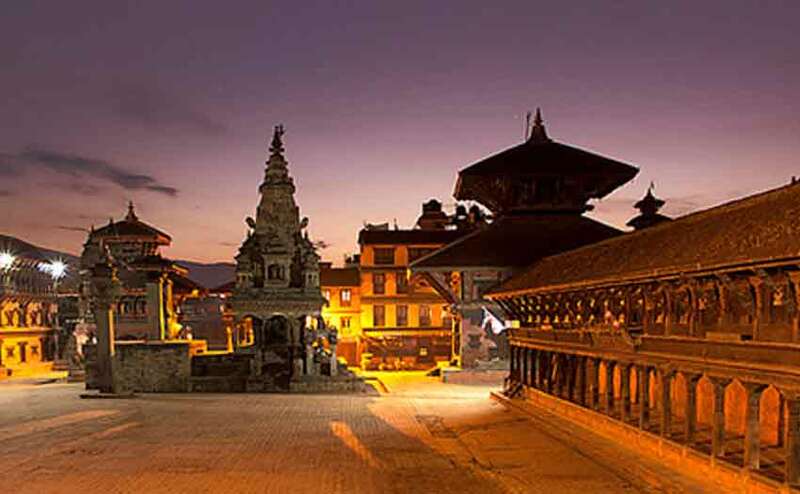 Enjoy the nightlife in Thamel and buy souvenirs of your travel. You will be picked up at Tribhuvan International Airport and transferred to your hotel. You can explore the valley till the evening. 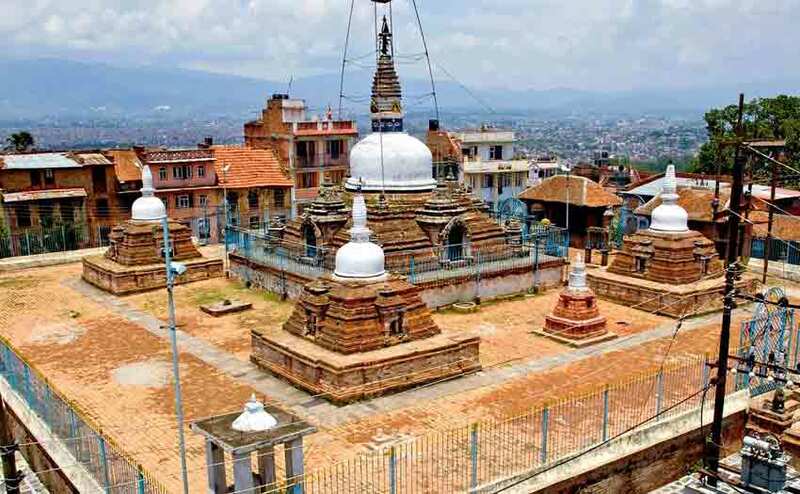 Explore the busy narrow streets and old Newari settlements of Kathmandu. After welcome dinner, you will be briefed on your trip and group introductions. You will also be informed on packing and necessary information needed in Nepal off road travelling. You will leave the busy narrow streets of Kathmandu and head to more sub-urban settlements of kirtipur. After steep climb of kirtipur hill, you will ride to Dakshinkali and spend the night there. You will pass beautiful pine forest and villages till you reach Markhu. With both dirt and black road your ride should not be that difficult one. Beside the beautiful lake you will have your lunch and enjoy the scenery. You will spend the night at daman. You will be riding in plain land of central terai. there will be plain land as far as your eyes can see. The temperature will be hotter than it was in Kathmandu. You will ride 6km dirt road from Tadi to Sauraha. You will spend the night at hotel inside the park. You will get involve in different activities Chitwan has to offer. People can enjoy bird watching, elephant safari, jungle safari, bird watching, village tour and canoeing. you will see the typical Tharu dance and Tharu culture. You will be informed of all the details and facts of the national park. You will be riding around 50 km of plain road and uphill wavy roads the whole day. You will get glimpse into the local life of people. With traditional farming methods people of bandipur live a enriched life surrounded with shrines and temples. You can see extraordinary view of Annapurna range, Dhaulagiri, Langtang in the clear day. You will ride 76 km of downhill, wavy roads to Pokhara. The mountain view will play hide and seek while you are passing between hills. You will also see lakes and agricultural farms along the way. You will spend the night at a hotel in lakeside of Pokhara. You will visit Tal Barahi, Bindabasini temple, Devi’s fall, Gupteshwor cave.in pleasant weather you can observe Fishtail mountain from most part of the Pokhara valley. You will ride along the bank of Phewa lake. You will return to your hotel and have a fare well dinner. You will be escorted to Pokhara airport for morning flight to Kathmandu. You can visit the different attractions of Kathmandu in this day. 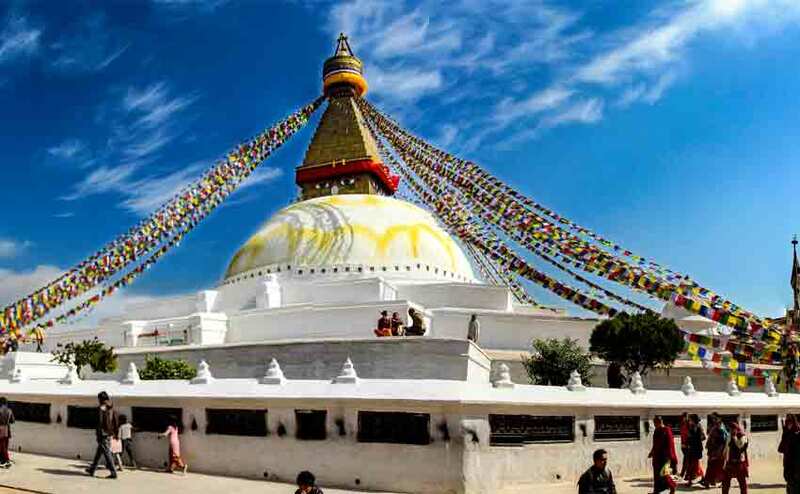 Some of the recommended places are three Durbar Square, Swayambhunath, Pashupatinath temple and Boudhanath stupa. You will be escorted to the airport by our staff member. Lower Mustang cycling adventure (11 days) has a 3-star physical rating. please click here to know more about the physical ratings of our trips. This trip will lead you through easy going terrain. cycling duration will be an average of 6 hours a day, through forests, off roads and local village trails.one is expected to push the bike in uphill climb if you are too tired to paddle. please ensure that you are physically fit to go on this trip before booking. -please ensure that you have enough experience and expertise on riding a mountain bike for long distance at once. -It is safe to carry basic medication for headaches, common cold, stomach aches, bandages and water purifier. -for further information on health facilities and vaccination click here.